For five nights and parts of six days, 225 individuals from 36 different churches in nine different states and one foreign country gathered together in Oakman, Alabama at Indian Creek Youth Camp for Apologetics Press’ third annual Christian Evidences Camp. In previous years our themes included “The Existence of God” (2011) and “The Reliability of the Bible” (2012). This year we focused on “Creation and Evolution.” We had five nightly lectures by five different A.P. speakers. Campers attended two classes each morning taught by a number of different teachers. A.P. staff members taught the 7th-12th grade classes. Several preachers and youth directors, who are close friends and supporters of A.P., taught the 5th-6th grade classes, while Rhonda and Sandy Thompson taught all campers 4th grade and younger. Young people in the 21st century desperately need to be exposed to sound, logical, biblically accurate information in their continual battle against atheistic evolution. A.P. campers learned the truth about many things that are extremely relevant to the creation/evolution debate. Some of the main topics covered throughout the week included: (1) Natural Selection and Mutations, (2) Science and the Age of the Earth, (3) The Bible and the Age of the Earth, (4) Spontaneous Generation, (5) Vestigial Organs, (6) Homology, (7) Alleged Human Evolution, (8) Dinosaurs, and (9) Wonders of God’s Creation. In addition to the classes, lectures, devotionals, and singings that campers participated in during the week, they were also treated to many other enjoyable experiences. Although spiritual nourishment is paramount, you can’t have a camp without a lot of physical nourishment—and every year some of the best cooks in the south volunteer to prepare 14 of the tastiest camp meals you’ve ever eaten. For two hours every afternoon, campers had the freedom to play a variety of sports (including ultimate frisbee, soccer, basketball, ping pong, and the ever-popular coneball), to visit the craft hut, or simply to sit in the shade and enjoy visiting with other campers. Evening activities included game-time at the gym and friendly competitions between cabins (e.g., tug of war) on the athletic fields. Overall, it was a great week of camp—perhaps the best A.P. camp yet. Many exceptional young people attended from all over the south. We had a fantastic volunteer staff of faithful Christians who knew how to lead children effectively, while also having a lot of fun. Last, but certainly not least, two young ladies committed their lives to Jesus at camp this year, being immersed into Christ for the forgiveness of their sins (Mark 16:16; Acts 2:38). 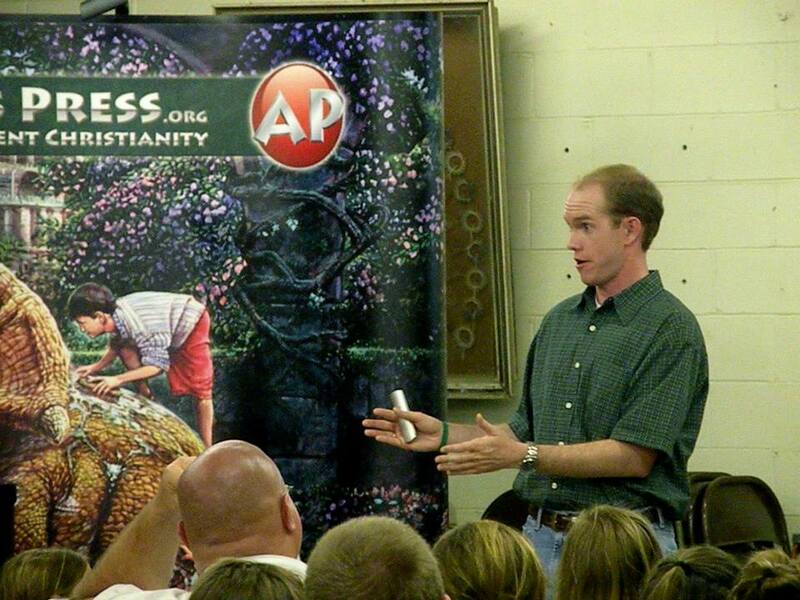 The 2014 Christian Evidences camp has been tentatively set for June 8-13. Registration will likely open in February. Check our Web site for additional details after the first of the year.